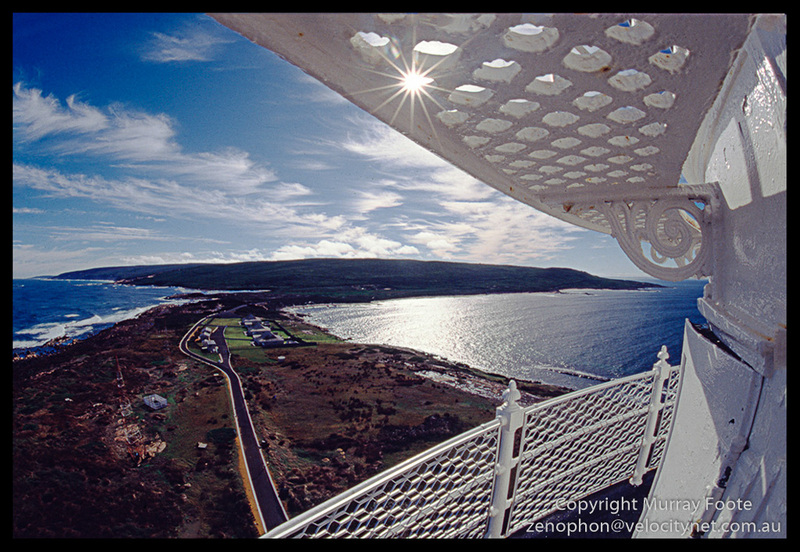 Cape Leeuwin is at the far south-west point of Western Australia. I was there on 7th and 8th May 1987. 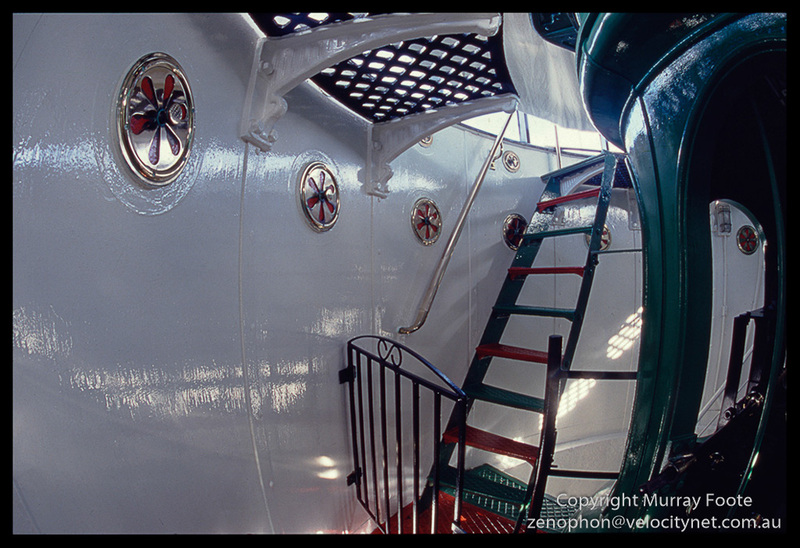 Cape Leeuwin was commissioned in 1894. This could have been much earlier but the eastern states were unwilling to share the cost and Western Australia was unable to afford it before the discovery of gold. 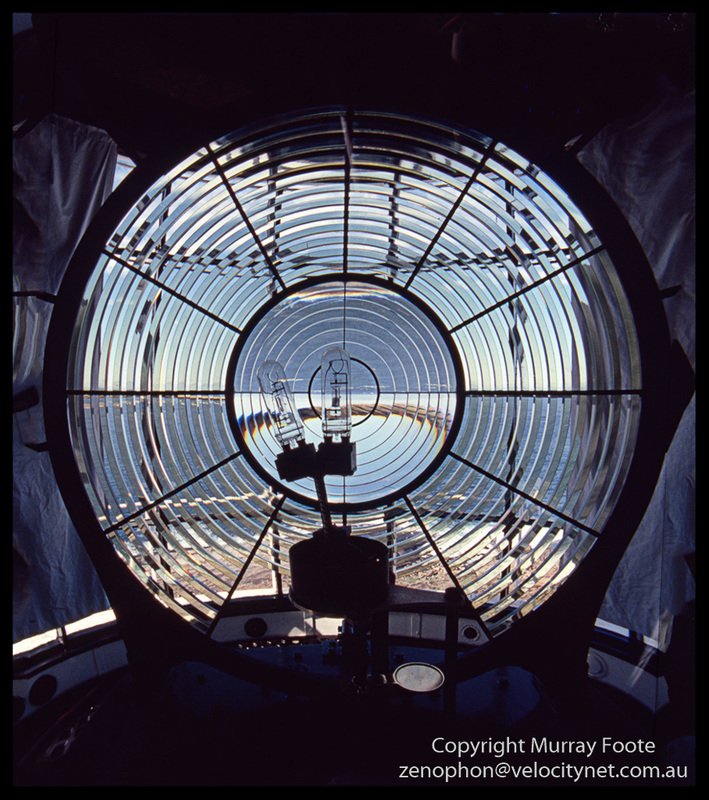 The lighthouse is 39 metres high and it is 56 metres above the sea. 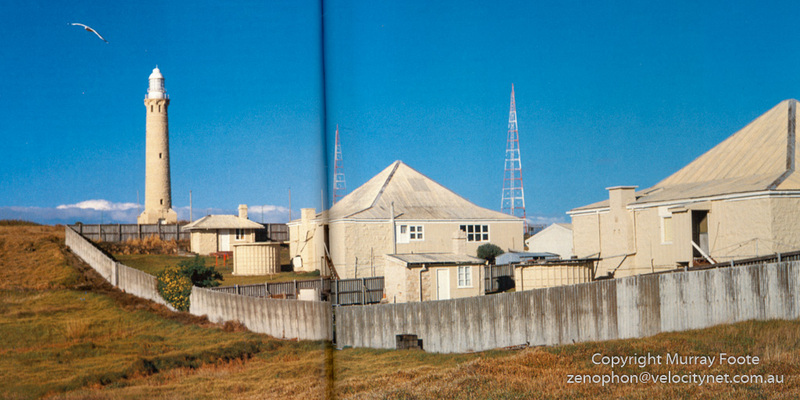 A back view of the cottages and the lighthouse beyond. At least one keeper’s family in the early 20th century had to make do with primitive furniture because they did not realise that furniture was not supplied. The waterwheel was built in 1895-96 by M.C. Davies and John Wishart to supply water to the lighthouse and cottages. 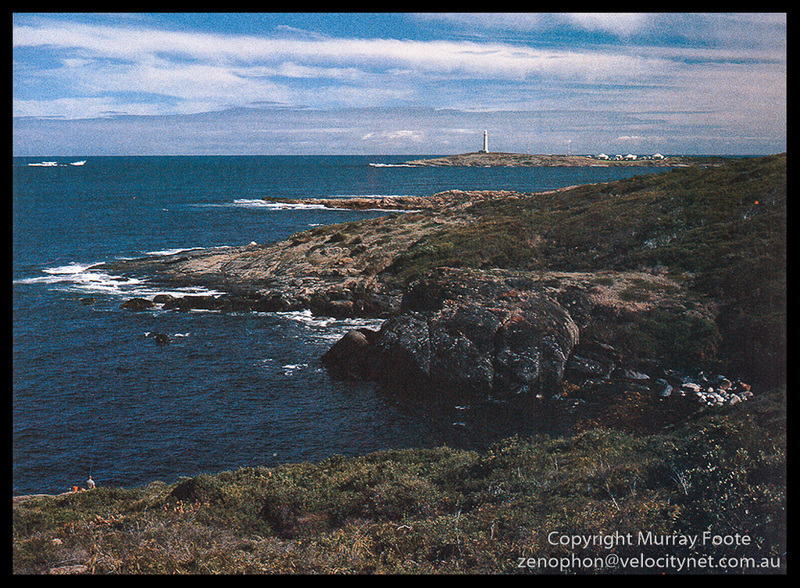 This is a view from the lighthouse balcony, looking back towards the cottages and the Western Australian mainland beyond. A view through the prism. Curiously, the view through the inner circle is inverted as one might expect but the outer zone is not. I think this is because we are looking through the glass in the centre and the spaces between the glass in the outer areas. 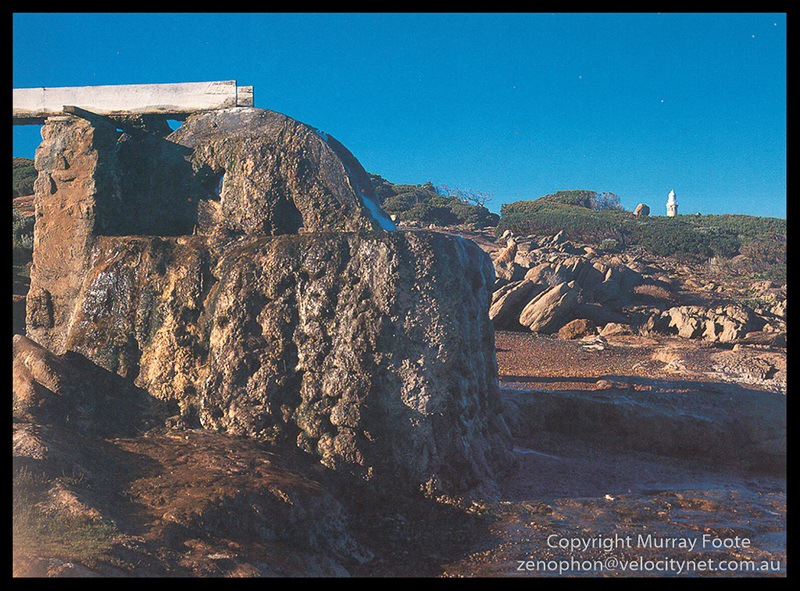 This entry was posted in Australia, From Dusk Till Dawn and tagged Architecture, Australia, Cape Leeuwin, History, Landscape, Lighthouses, Photography, seascape, Travel, Western Australia.